When you’re driving around Miami, Doral and Hialeah, there’s nothing more important than having a vehicle that offers both fuel efficiency and high-end style. While a variety of cars promise these features, the Honda Accord is still one of the most popular sedans on the market. The Accord is back for the 2018 model year with even more efficiency, and the great features that consumers have come to expect from Honda. 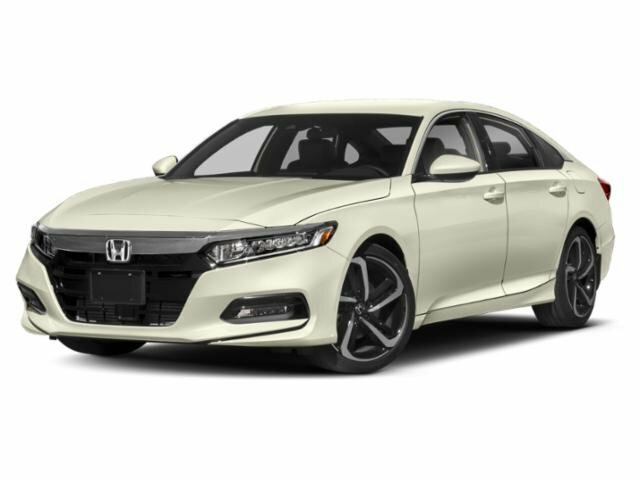 Read about the incredible 2018 Honda Accord, and learn about a few of the features that make this model one of the most impressive sedans on the road today. Then, contact Braman Honda Miami to schedule your test drive. For 2018, Honda has added more advanced features to the Accord so drivers can enjoy their experience behind the wheel even more. A few of its innovative amenities include heated and ventilated front seats, wireless device charging, and 4G LTE in-car Wi-Fi. Remote engine start is standard on select trims, as well. An all-new Display Audio system is also standard on the 2018 Accord EX and its higher trims. Designed to be the most advanced system in the brand’s history thus far, this 8-inch screen allows you to swipe, tap, and pinch as you would with a smartphone for easy access to all your favorite features. Plus, the interface has been completely redesigned for enhanced convenience. And as a bonus, these trims offer standard Apple CarPlay™ and Android Auto™ capability. These technologies integrate your smartphone with the infotainment system. When connected, you’ll be able to use a number of apps installed on your phone right in your car on the touchscreen or using the voice recognition system. They also let you make hands-free calls and will read incoming text messages aloud to help you stay connected while keeping your eyes on the road. In addition to all-new infotainment technologies, the 2018 Honda Accord features an array of safety systems for your peace of mind. This includes Honda Sensing®, a suite of cutting-edge driver-assist technologies designed to help you pay more attention to your surroundings so you can better avoid an accident. The system also features new Traffic Sign Recognition: When you pass a speed limit sign, the system will use a camera to identify it and display the information on the Driver Information Interface. For added safety, Honda has included the Driver Attention Monitor for all 2018 Accord trims. Driver Attention Monitor keeps an eye on your steering when you’re behind the wheel. If your steering becomes erratic, the system will see that you’re getting less attentive to your surroundings and display a coffee cup on the Driver Information Interface to suggest a driving break. If you continue to drive without making improvements to overall steering, it will activate a series of beeps and vibrate the steering wheel to keep you alert. When it comes to performance, the 2018 Honda Accord is quite impressive. The car comes with two new engines. The standard 1.5L turbocharged four-cylinder engine gets 192 horsepower, and the 2.0L turbocharged four-cylinder engine gets 252 horsepower. Both work with a series of performance features to not only ensure a smoother and more capable ride, but exceptional fuel economy, as well. Drivers looking for something even more efficient can take a peek at the new 2018 Honda Accord Hybrid. Using the third-generation of the brand’s hybrid powertrain, the car features a 2.0L Atkinson cycle engine and a two-motor system that helps it produce both impressive power and enhanced fuel economy. If you’re looking for a new car that’s powerful, efficient, and includes some of the most advanced features and technologies in the industry, take a closer look at the 2018 Honda Accord. Drivers in Miami, Hialeah, and Doral can simply contact Braman Honda Miami to schedule a test drive today.